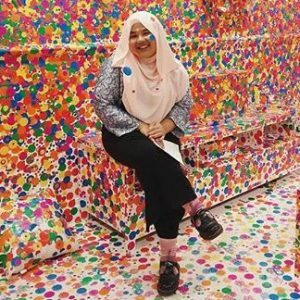 This Mother’s Day, DANamic.ORG writer Hannah Halim pens her thoughts on spending the occasion in Brisbane, away from the Singapore she grew up in. For the past week (or longer) my inbox has basically been spammed with promotional emails for exciting gifts to pamper Mama for Mother’s Day. While I find the bags on offer to be way beyond my daily purchase limit, being 6,150 km away means I can’t even make a surprise breakfast in bed for her. Growing up, I’m lucky that Mama has always been a constant. I guess it’s partly the reason why being away for such a long time feels pretty tough. Mother’s Day has always been set aside as the day to show appreciation to Mums everywhere, whether it’s through gifts, surprises, or well wishes. It’s letting Mum take a break, ‘cause God knows she’s spent the other 364 days picking up after her kids and everyone else around her. It’s a celebration of her strength and patience. A celebration of her unconditional love and unwavering heart. A celebration of her being the constant, even when everything seems to be crumbling. The hardest thing about being away on Mother’s Day is not not being able to see her face when I present her my gift – the one that I scrimped and saved in order to get her. It’s not not being there to serve her breakfast in bed and cook a massive dinner for the family. It’s not not preparing a cake and gifting her with flowers because she deserves the sweetest and most beautiful things nature has to offer. Rather, it is not being able to call her when I feel like college is just too hard. It is not being able to talk to her about the problems of the world (and my world) as I help her with dinner. It is not seeing her asleep on the couch as I creep home way after curfew. It is not being able to hug her as and when I’d like. The hardest thing about being away on Mother’s Day is not being there and knowing I won’t be there for days to come. They say it takes a village to raise a child, and being away from home makes me realise that Mama is not the only mother I’m missing. For the aunts who dote on me and buy me my favourite cakes are my mother. For the grandmother who painstakingly sewed my Hari Raya outfit is my mother. For the auntie next door who lovingly asks how I’m doing is my mother. For the uncle who takes care of his babies because his wife has been called away, leaving him in the role of “Mr. Mum”, he is my mother too. For a mother is more than a title. It’s a responsibility that she undertakes to love and care and nurture someone else. It’s giving a part of your heart and soul with the happiness of your children as reward. I can never repay Mama for all that she’s done for me, but a hug and a more active role in doing the chores would be good start. Before the day ends, take a bit of time to show your appreciation for your mum, your grandma, your aunts, and the “Mr. Mums”. While the calendar marks the day Mother’s Day, truly, Mother’s Day is every day because Mama will always be Mama no matter what day it is or where she is. Happy Mother’s Day to you Mama, even if I’m 6,150 km away.